When a seed germinates, it only has two days to turn into a seedling capable of photosynthesis, before having exhausted its reserves. Germination is the process of seeds developing into new plants. First, environmental conditions must trigger the seed to grow. Usually, this is determined by how deep the seed is planted, water availability, and temperature. When water is plentiful, the seed fills with water in a process called imbibition. The water activates special proteins, called enzymes, that begin the process of seed growth. First, the seed grows a root to access water underground. Next, the shoots, or growth above ground, begin to appear. The seed sends a shoot towards the surface, where it will grow leaves to harvest energy from the sun. The leaves continue to grow towards the light source in a process called photomorphogenesis. But, during the overall process of germination, the fetus inside the seed must form into a young seedling fit for photosynthesis in under 48 hours. Amid this time, it depends entirely on its internal reserves, which are immediately consumed. It should hence quickly make functional chloroplasts, cellular organelles that will empower it to deliver sugars to guarantee its survival. But, what controlled the formation of chloroplasts from proplastids puzzled the scientists for many years. 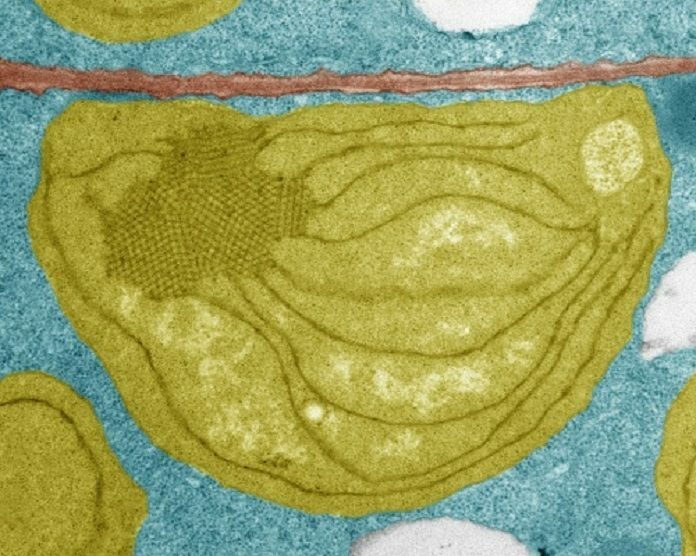 Now, scientists at the University of Geneva have disclosed key elements that control the formation of chloroplasts from proplastids, hitherto poorly studied organelles. The embryo, which is dormant, is typified and ensured in an extremely safe structure, which encourages its dispersion. At this stage, it can’t perform photosynthesis and, amid germination, it will in this way consume the nutritive reserves put away in the seed. This procedure induces the change of a strong embryo into a delicate seedling. Scientists discovered that high GA indirectly obstruct the degradation of TOC159 proteins. The last can in this way is embedded into the membrane of the proplastids and empower the import of photosynthetic proteins cargoes, which likewise get away from the cellular waste bin. The genesis of the main useful chloroplasts, executed in under 48 hours, consequently guarantees a quick progress from a growth relying upon the embryo’s reserves to a self-ruling advancement. This superior component adds to the survival of the seedling in an inhospitable environment, in which it should confront numerous difficulties.